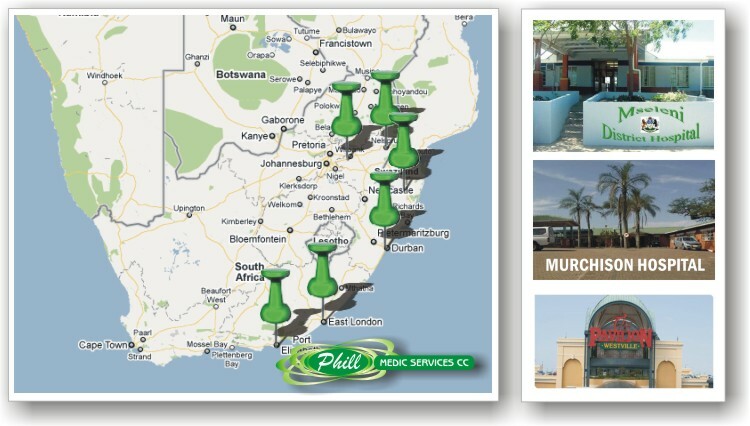 Phill Medic Services only uses approved and tested products which are of a very high standard. We will assure you that the products we use will maintain your pest control problem from one service to the next. See our list of pest control products which we use to eradicate and control pests. Pest control is most effective when conducted regularly, please speak to us to assist you in designing the most effective maintenance program that will work for you. We also specialise in soil poisoning either prior to construction or by drill injection afterwards if their is an infestation problem. We will supply you with a five year written certificate of guarantee for soil poisoning. We currently service contracts all over Kwazulu Natal, the whole Eastern Cape and the entire Mpumulanga region. We currently supply a range of items to hospitals such as stainless steel pedal bins, surgical sundries, cleaning material, cleaning equipment, hygiene equipment and linen savers. see our list of products which we currently have available.